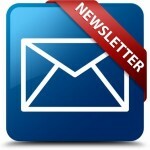 Newsletters » Palomar Investigative Group, Inc. Newsletters » Palomar Investigative Group, Inc. If you would like to receive our newsletter, please complete our sign-up form below. Who Really Has The Keys To The Kingdom?